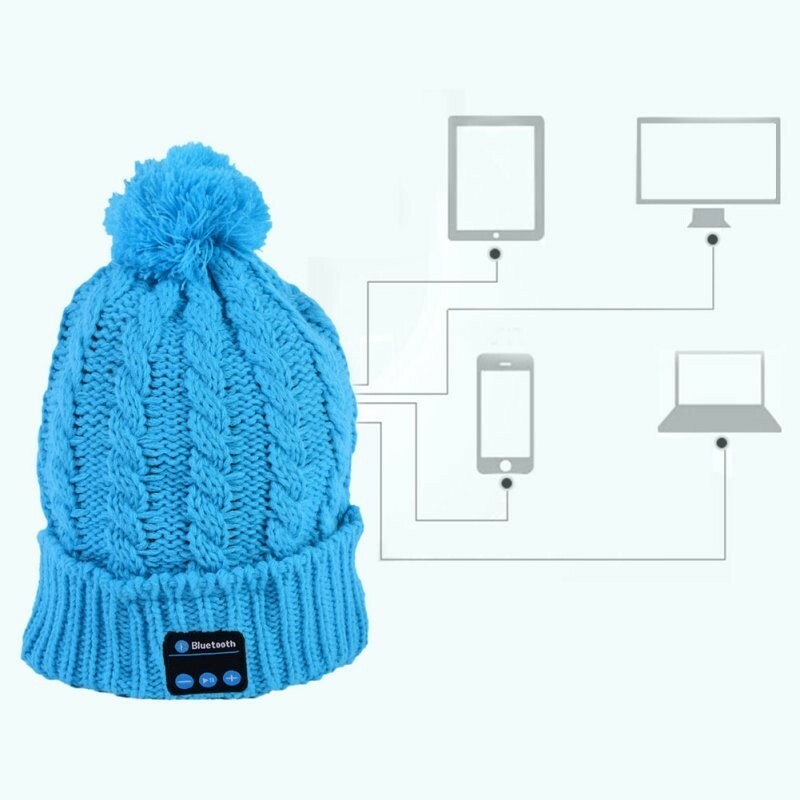 Knitted materials, fashion and keep warm with answers the phone in the winter. Set in mic, available for mobile phones to send speak directly to your audio device so users can hand through the telephone answering device. Set-in li-ion battery charge, charge via USB cable, long standby time. Product Specifications: Bluetooth Version: v3.0 + EDR Frequency: 2.4026 GHz-2.480 GHz Transmission distance: 10M or more Mic transmission distance: ≤ ft Li-ion batteries: 3.7 v / 120mA Charging time: 2.5 hours Continuous working time: around 5hrs Bluetooth name: magic hat Size: suitable for head circumference 56-62 cm Speaker removable so you can wash cap Quantity: 1 pc Color: black, Kaki ,blue ,pink , white Note: due to the difference between different monitors, the picture may not reflect the actual color of the item. Thank you!